It’s thundering here today, but I’ve got Billy Holiday to keep things cozy. Really, I think it’s physically impossible to be down when there’s a bop bop bop floating out from the stereo, over the soothing static that just drowns out all the world – scary new house sounds included. Then again, this house isn’t exactly new, is it? It has a ’40s-ish type of look to it, though Lord knows I don’t actually have a clue about architecture & eras. Here’s what I do know: the chairs in my living room are of the sort that will swallow you live – plush & ginormous – not to mention grandma-inspired. 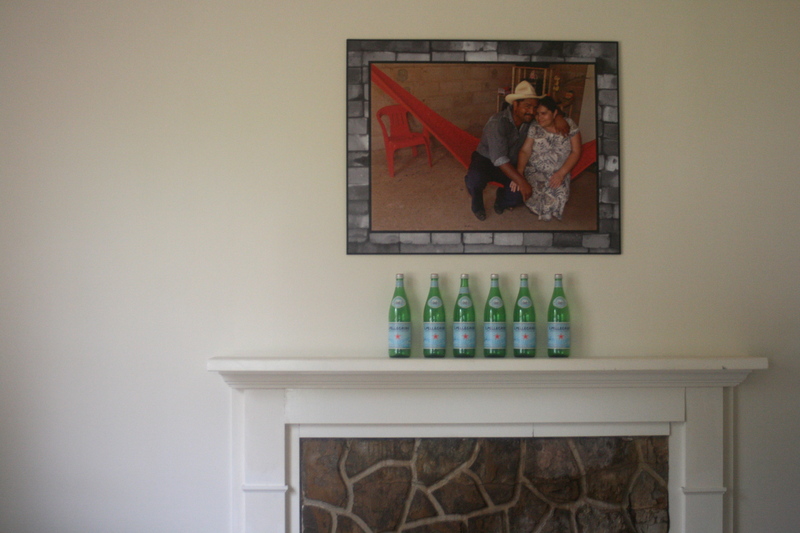 Where once a fire would have crackled & popped, log cabin style stone fills the gap in my wall. 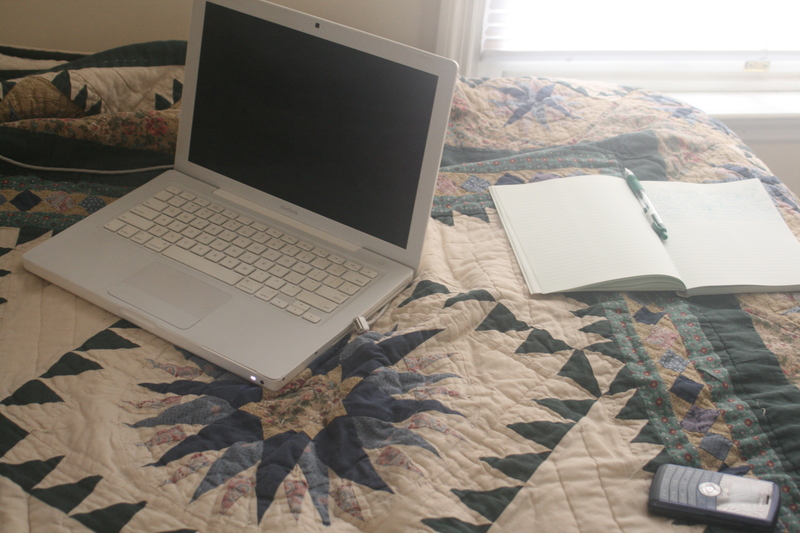 My bed is draped in what appears to have been a hand-stiched quilt, traditional & home-like. 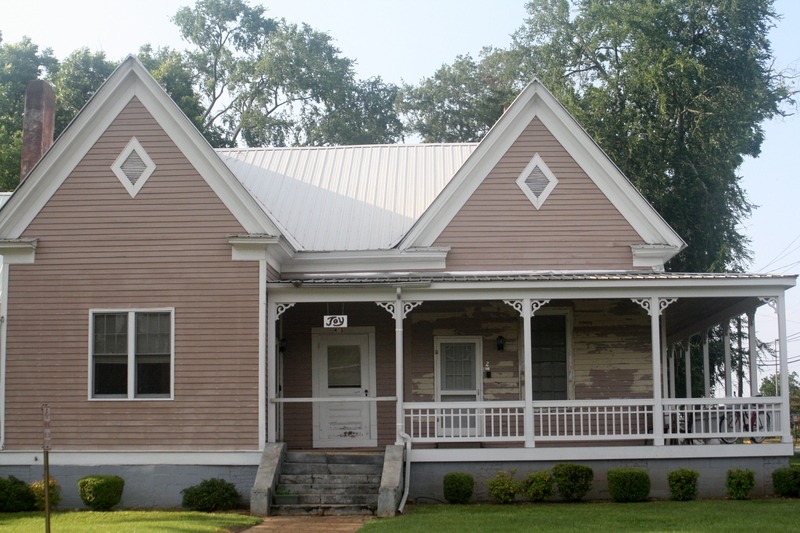 I’ve got a tub & a wrap-around porch. As for the town itself, it’s charming. My candy-apple cruiser can easily take me wherever I will, & the new white wire basket I had installed will only make filling up on sidewalk produce that much more practical. That’s right, sidewalk produce. The best thing that’s happened to me yet: walking down the downtown crepe-myrtle covered sidewalk, I notice assorted bins of fruits & veggies ahead, spilling out from a barbershop to the left. Brimming with excitement from the prospect of fresh, farm-grown goodies – I begin to scavenge. Soft cries & a tickle across my heels divert my attention momentarily – a one-eyed cat has come out to say hello! I play with her for a bit, then straighten up for check-out. 2 peaches, 2 tomatoes, 1 sweet vidalia & a grapefruit from the barber on Lamar. He asks me for “4 or 5 dollars, I reckon,” over the head of a man in need of a trim, between slow conversation with 2 others sitting across the room. In exchange for my cash, he sends me on my way with some bubblegum to-go. Waving good-bye, I think to myself, I might just like it here. I loved finding this picture here. It's a sweet reminder of why I'm here. 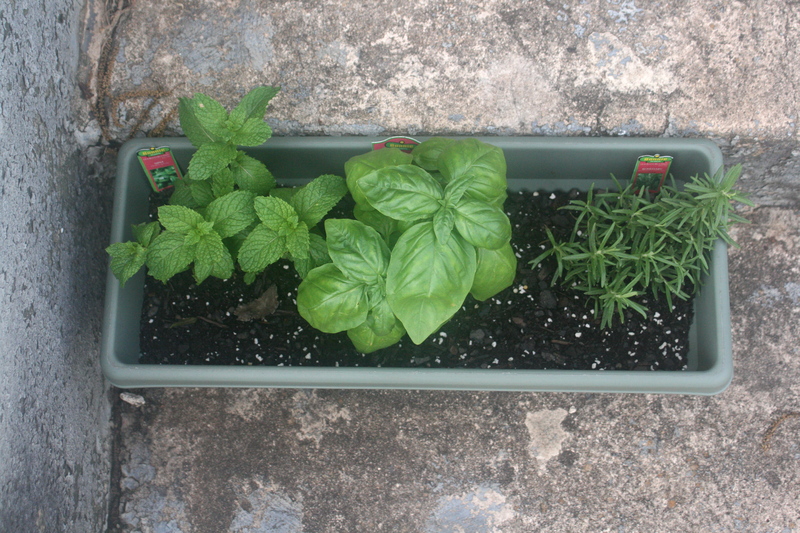 Herbs! The only living things I can claim in this place. 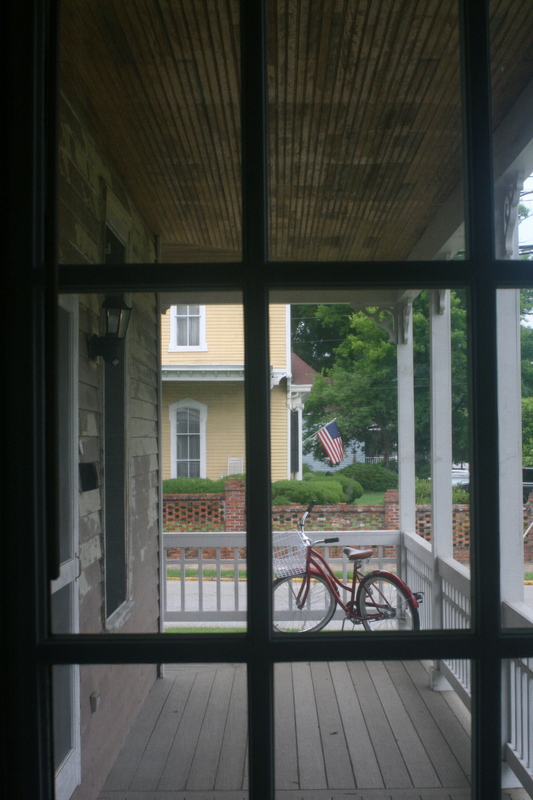 Porch & bicycle, through my very own screen door.